The food packaging industry always proves to be highly competitive and vibrant. The industry is always refreshing itself and on the look-out for packaging materials and technology that offers enhanced convenience and longer shelf life to consumers. The food industry knows very well that their consumers are always searching for the value, novelty and innovation when it comes to packaged food. It is for this reason that the packaging industry must continually innovate and evolve, or face stagnation. The food packaging industry is huge and diverse, so I can only cover a few of the trends and innovations. Let’s get started. Product packaging plays a big role in preserving freshness and the integrity of the product through its long journey to the shelf. It also helps products get noticed by consumers and can help them make a choice based on what features and benefits the packaging highlights. Creatively packaging products has remained a subject of constant concern in the industry. At the global level, food packaging has been using some new labelling techniques that ensure freshness, product tracking, product branding and more importantly- longer shelf life. Globally, the beverage and food packaging industry is the world’s largest consumer of plastics. This is expected to rise further, with rigid plastic food container demand expected to increase by 5% per annum, reaching 118 billion units representing $5.4 billion by 2017. This tremendous growth of global packaged food market is due to the innovative packaging providers offering a wide range of food packaging materials that make possible more creative and innovative packaging for their products. Plastic has been behind a lot of growth. Its strength and versatility means that is well-suited to all stages of the supply chain journey, from factory, transit, shelf to home. Paperboard, metal or glass alternatives do not withstand the rigors of the journey as well and can end up looking worse for wear or needing extra packaging to help protect them. The food and beverage market is still hungry for innovation, particularly in plastic technology, where companies see an opportunity to enhance the demand of their foods and beverages. 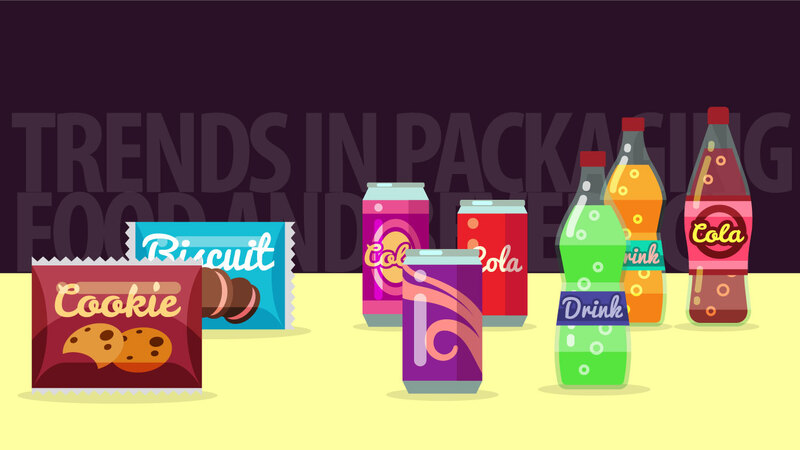 What all do you see in modern-day packaged food items? Here are some of the features the leaders include in their packaging to set themselves apart. A 2014 internal Tetra Pak survey covered over 25 countries across the globe. It found that today’s consumer is well-aware, more concerned and willing to do anything to bring about a positive change in the environment. Of all the consumers in the developed nations, approximately 87% had “somewhat serious” concerns regarding the international environmental and climate change. 94% of the consumers in these nations had concerns regarding pollution. A quarter of the survey’s respondents felt that they were responsible for doing things that were not good for the environment. Today’s consumers expect companies to be aware of environmental concerns. The latest example is FSC-certified paperboard that acts as a sustainable packaging for Georgia peach smoothie. However, in a 2012 report from PwC, it was found that the concept of “sustainable packaging” proves to be a rather useless term because it’s generally impractical, and there is no generally accepted meaning to the term “sustainable packaging”. So now, the result is that this term has found a replacement with “packaging for green worriers.” Companies are catering to the “green worriers” by implementing and encouraging things like recycling, effective after-use disposal, display efficiency, transport efficiency, minimizing product waste and using the least possible resources. The goal is to minimize environmental impact, and lower economic and social cost. One of the most important visible and upcoming trends in food packaging is digital designing or designing for the computer world. What does that mean? In the above sections, we talked about style plays and visual appeals. Here we are talking about shelf appeal. Packaging with the “bill-boarding” potential, the ability to print the entire packaging and not just a part of it or a label, is ideal for modern campaigns. Such packaging offers a full canvas for high impact and attractive graphics, with bold colors and characters which catch the eye and attract consumers. In the world of 2D online shopping, these high impact printed packages, flat and space-oriented packs have a big advantage over more traditional packaging that is partially printed or uses labels. Demographically speaking, the people that consume the most packaged foods and beverages are urban-dwellers. Many of them live in smaller spaces. Such consumers want packaging that is lightweight, compact and sturdy. One trend in food packaging is offering compact packaging to this segment, so that these consumers can stock up without filling up their living space..
Packaging today is done with a concern for logistics and food marketing. It’s helpful to understand what “food marketing” is. The key for food packaging here is strong, lightweight materials and easy to access and handle packaging like tetra packs. Another concern is health and safety. With food products being transported and handled by multiple parties, it is important that the packaging is robust and keeps the food and drinks fresh. Vacuum, gas, aseptic and sterile packaging are used to enhance the transit life, shelf life and storage life of our food. The modern consumer is ever-more demanding and always on-the-go. They expect and enjoy creative and functional packaging. The leaders in the food packaging industry are living up to this challenge and will be expected to constantly innovate to meet the high expectations of today’s consumers. We can expect packaging to evolve constantly. It will have to be flawlessly functional, greener, more compact, lighter, sustainable; but also highly visible and stylish. Shalu Jain is a senior marketing executive at DCGPAC http://www.dcgpac.com India's largest online packaging material store offering more than 2000 different categories of packaging solutions. She is known for her industry knowledge and experience in overcoming complex challenges with innovative solutions. In her free time, Shalu prefers to read books, listen to music and explore new places. Next Post:Brexit: What’s the Impact on U.S. Supply Chains?